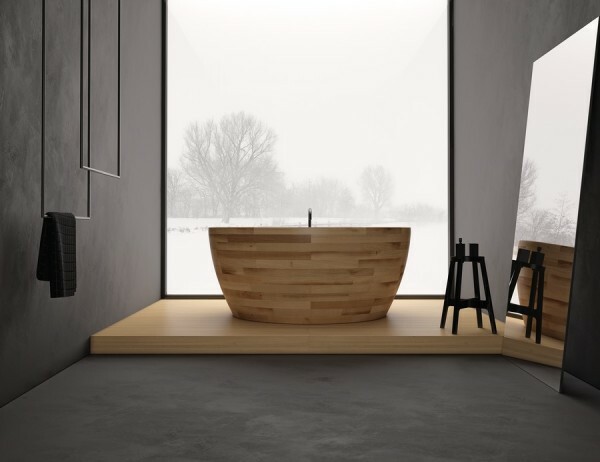 Bringing the outside inside can convert your boring bathroom into a place of zen, probably the most bored rooms in your apartment or house, a bathroom is a place that never has interesting areas to keep. 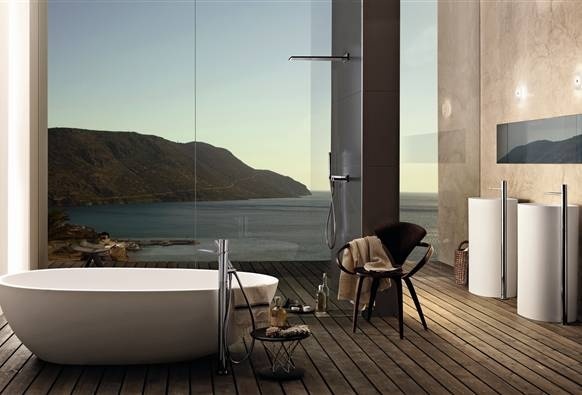 But, at the same time, when a bathroom starts to leak over time, you may need the help of a professional water damage company. 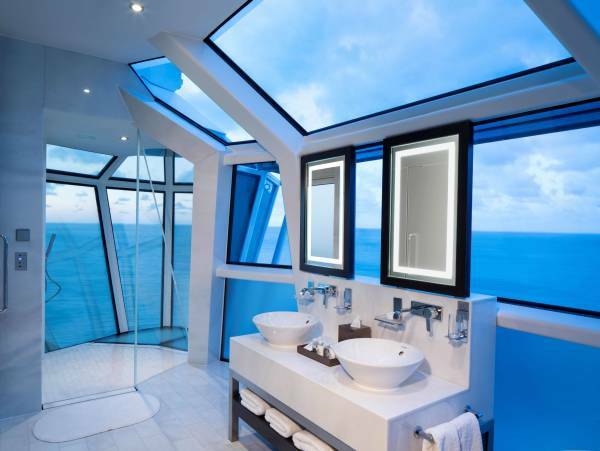 Following are some of the best bathroom views from around the world, mostly hotel rooms because of luxury attached with such a view can only be given by them. 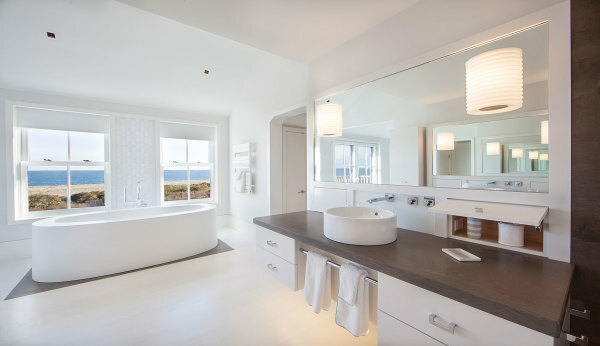 Browsing all these wonderful bathrooms with giant mirrors, bathroom heaters, magnificent sinks and faucets… It has made me dislike my own bathroom, I have never been so bored with mine. 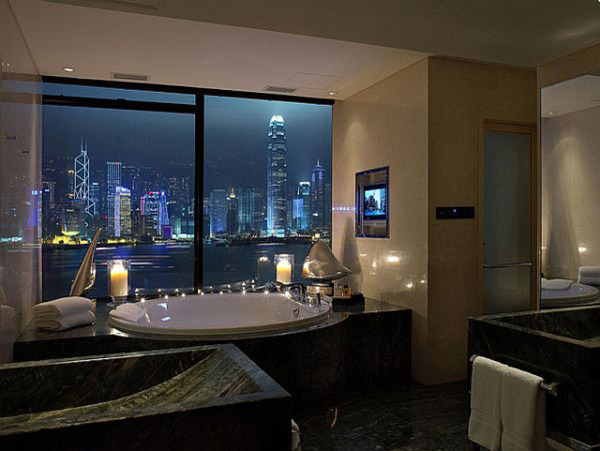 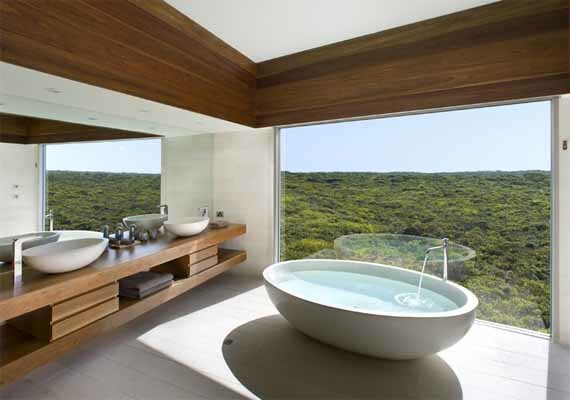 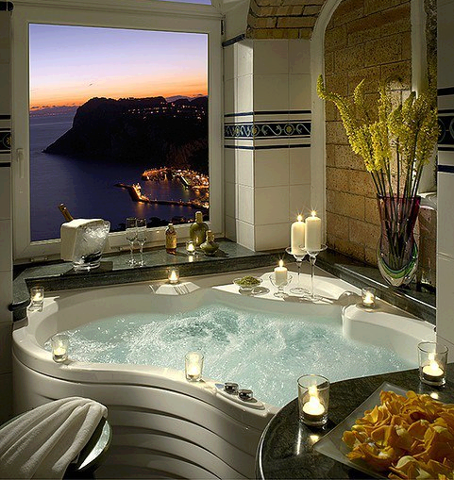 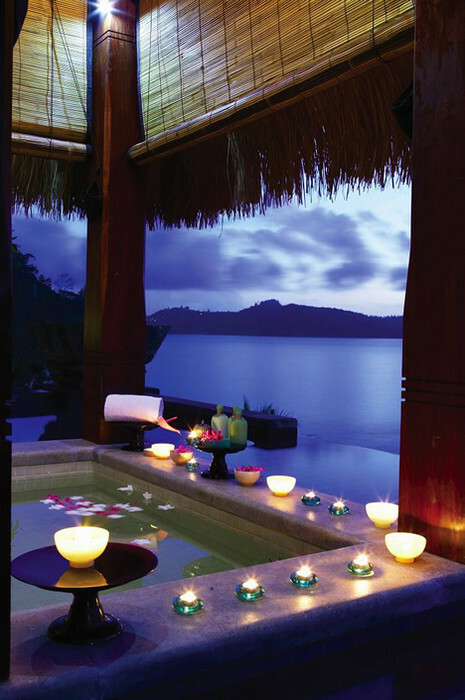 Anyways .. enjoy these incredible bathrooms with a view. 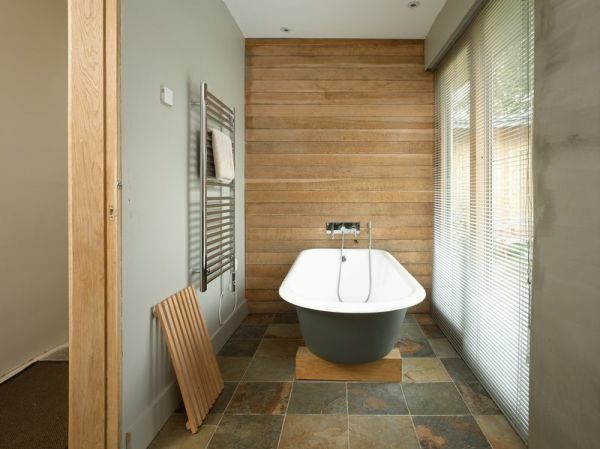 Previously, we wrote about Exclusive Bathroom Tile Ideas, Beautiful Small Bathroom Ideas. 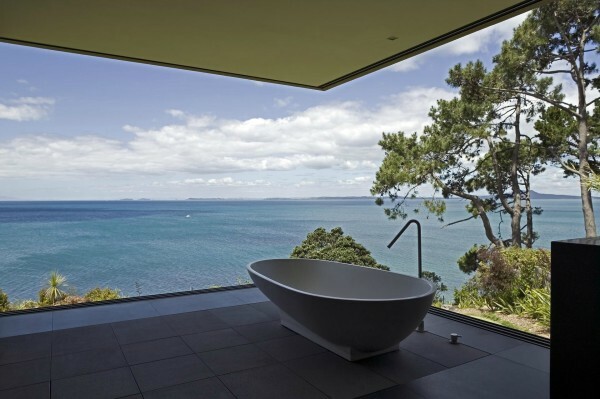 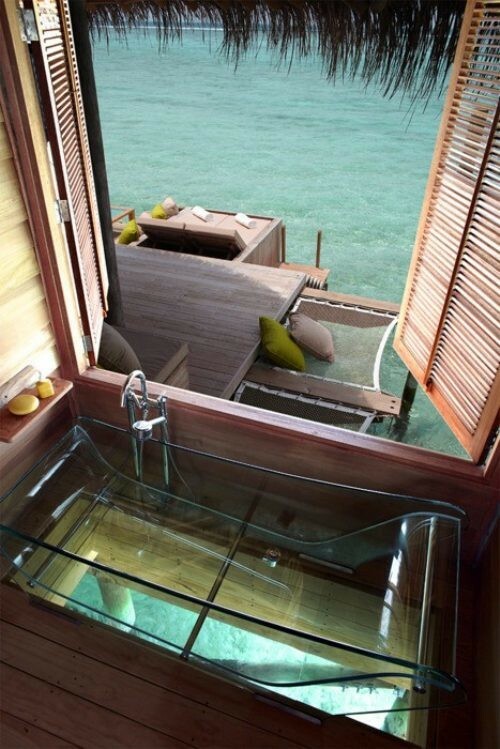 Stunning panoramic bathroom with a view over the sea! 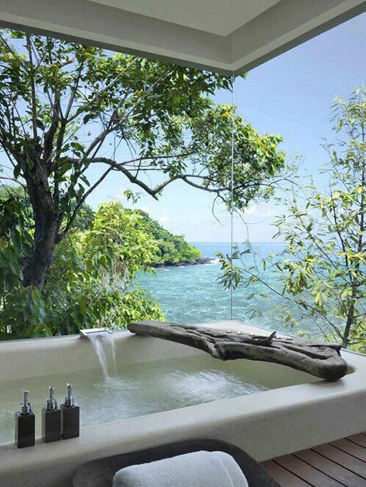 Having a beautiful bathroom with a gorgeous view is great, until a bad leak springs and you need the help of a professional. 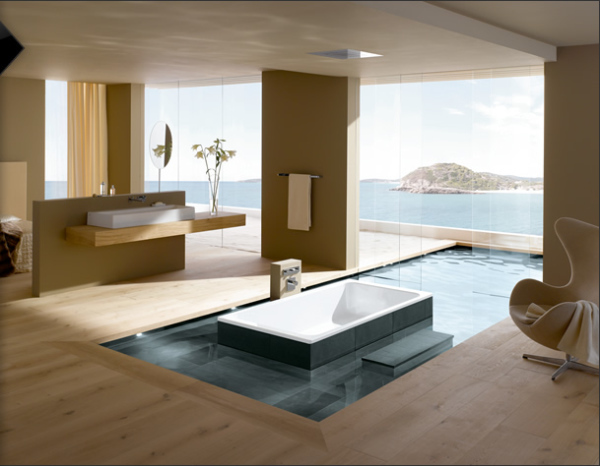 A professional water damage company will always be there to clean up the mess!